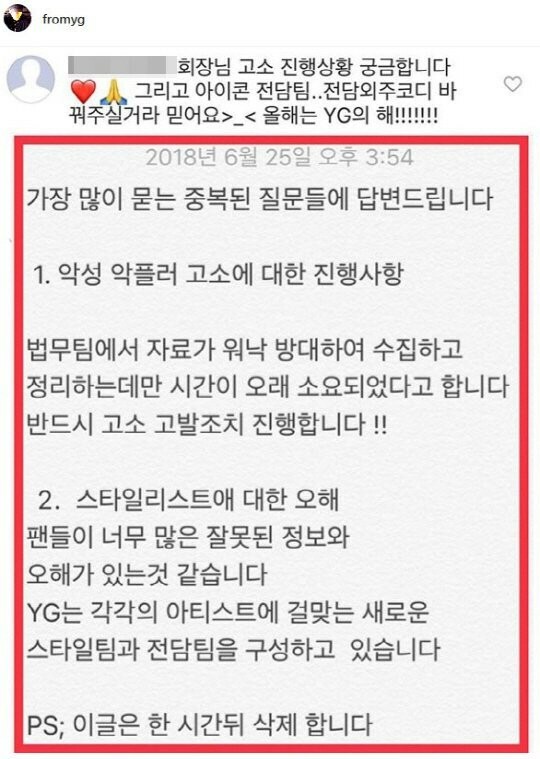 Yang Hyun Suk once again took the time to answer a fan's question on Instagram. 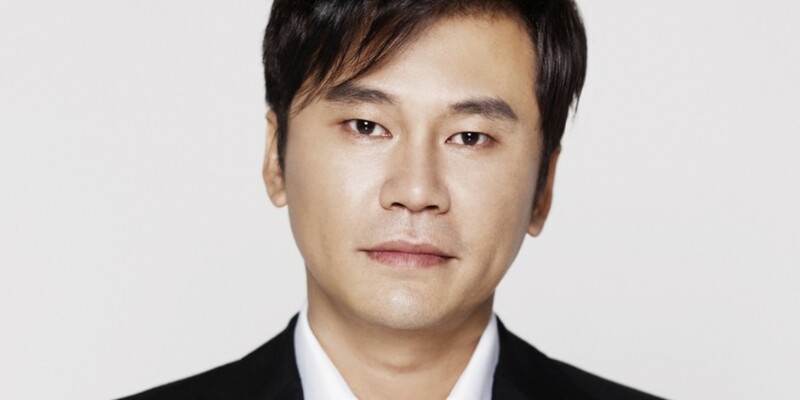 On June 25, a fan left a comment on Yang Hyun Suk's Instagram, asking, "Hwaejangnim, I'm curious about how the process is going for the legal action. Also, for iKON...�I believe you will change their stylists >_< This year is YG's year!!!!" P.S; this post will be deleted in an hour."